Your very own guided goalkeeper training program. 26 specialised coaching videos per year. Fortnightly email updates and tips. Priority event & clinic access. Your ultimate online training program. Consistent practice of basic skills is crucial so this program will give you targeted training throughout the year allowing you to consistently practice all the necessary skills you need to progress your goalkeeping and become a game changer for your team. No longer will you stand in the net and just be target practice for your team mates. Use these instructional videos, with the help of your coach, team-mate or parent, to guide your training sessions and make little improvements every day. Stomp Goalkeeping – your very own guided goalkeeper training program covering all skills, techniques, mental approach and more. 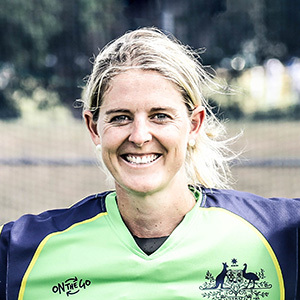 Train with Hockeyroo Rachael Lynch and join the online Stomp Goalkeeping community. As a specialised position and minority in a team of 16, training is often focused on field players and goalies are left to being target practice. My dream is for all goalkeepers to feel empowered, supported and to get the targeted training they need and deserve. I am here to help and will be with you every step of the way. Access to past video library. Revisit and refine taught skills. Access to members only Facebook Group - Discuss techniques and games with goalies from around the world. Get fortnightly videos and training content on your computer or mobile device. clubs who don't have speciality goalkeeper coaching. Rachael’s list of achievements as a hockey player need no introduction. She has dedicated herself to the pursuit of excellence through her insatiable appetite for knowledge and desire to perfect her craft. This to me is why she has been one of the best goal keepers in the world for the better part of a decade. Yet what sets Rachael apart is her desire to help those around her, her contribution to hockey and the wider community is the most impressive part of Rach. An elite hockey player by trade and elite person by nature. 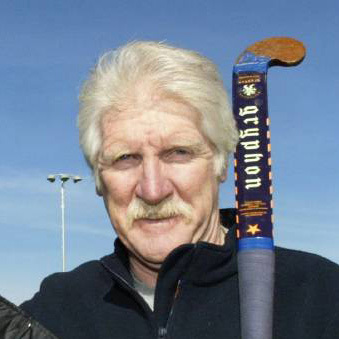 The Australian hockey community has included a significant number of world class goal keepers who upon retirement have become heavily involved coaching goal keepers. 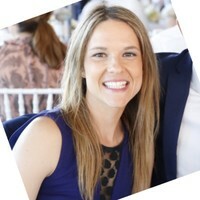 Rachael Lynch has, during her playing career, also coached developing goalkeepers. She has now taken another step to provide a professional goalkeeper coaching service. I have observed Rachael coaching on numerous occasions and have also videoed and edited footage of her coaching. She establishes great rapport with developing goalkeepers, is very positive in her coaching approach and her coaching directions and feedback are both concise and precise. I have no hesitation recommending Rachael. For security we accept payments via credit card or bank account through PayPal only. All videos are for subscribers only and are only playable through the members page. Videos are released fortnightly in accordance with the release schedule above. Videos can be watched an unlimited number of times and all previous releases will remain available to subscribers until March 2019.